View More In Cocktail Picks - Page 3. Dress up your cocktails with these mermaid drink markers. Perfect for your tiki bar or next luau. Popular for Polynesian parties, pool parties, and family gatherings. 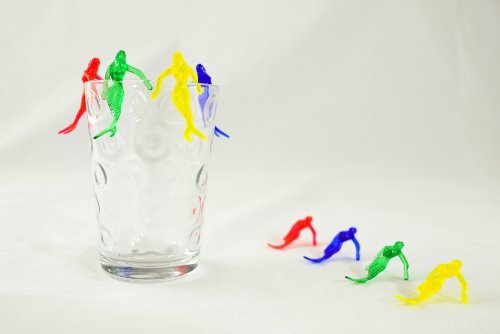 Dress up your drinks with these colorful mermaids! If you have any questions about this product by PartyTiki, contact us by completing and submitting the form below. If you are looking for a specif part number, please include it with your message. Club Pack of 3,456 Tropical Multi-Colored Parasol Food, Drink or Decoration Party Picks 4"